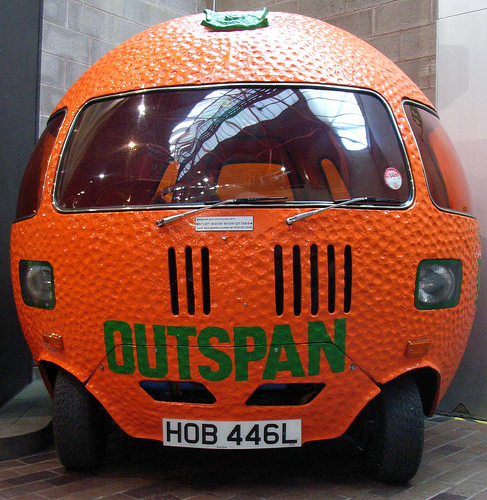 During the early 1970s Outspan produced six of these orange cars for the Outspan Girls’ promotional campaigns in Europe. With their vibrant colour, three wheels and a top speed of 25 mph, the Outspan automobile was easily spotted and could not get away quickly enough from the BOA’s Inspan girls. 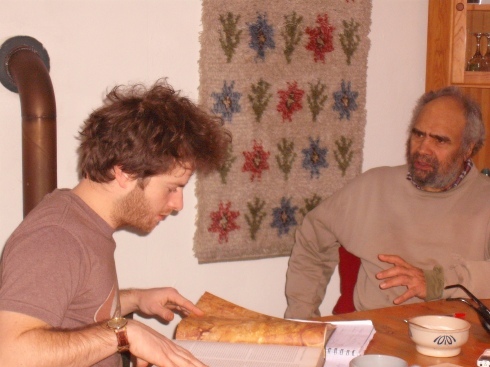 Over the last two years I have been researching the work of the radical anti-apartheid and anti-racist organization, Boycot Outspan Actie (Boycott Outspan Action). Founded in 1972 in Leiden, Holland, the BOA were led by the charismatic South African exile, Esau du Plessis. After first contacting du Plessis in 2010, I have interviewed many key BOA activists and associates in Sweden and Holland; during this time I have been fortunate enough to have access to a range of compelling sources stored in private archives and correspondence. Much of this research will be published in my thesis in 2013. Here, as a little taster, I would like to provide you with a visual introduction to the organization that reworked the blood-sugar topos into a powerful anti-apartheid weapon. This post suggests how a widepread public consumer boycott was avoided by the British chocolate firms, Cadbury, Rowntree and Fox in the wake of the publication of Nevinson’s A Modern Slavery. I point to the ways in which the São Tomé cocoa scandal was contained, and how a visceral and implicating consumer-producer topos was avoided. Without the antislavery suggestion of white on black anthropophagia that characterized the sugar abstention campaigns, a blood-cocoa topos was inconceivable. I believe that the absence of a topos to fictionalise and disgust, to romanticize and make poetic, drew the sting out of moralizing arguments, and disabled a widespread politics of pity for the São Tomé cocoa producer.